When a strange spirit hatches a plot to separate Nagi and Hayate forever, their relationship as mistress and butler will be put to the ultimate test! Hayate’s parents have left him with a large debt and the yakuza want him to pay up. Desperate he attempts to kidnap the wealthy Nagi Sanzenin and begins their comedic story. After rescuing Nagi, Hayate finds himself in her mansion and is told by a maid he is to be the new butler. However, the head butler is not too keen on this idea. Klaus still dislikes Hayate being Nagi's butler. 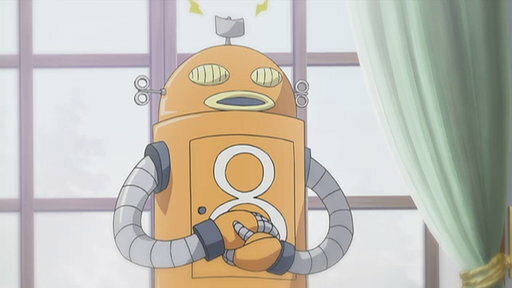 In order to see if Hayate really has the skills to serve Nagi, Klaus challenges him to a fight a robot known as Eight. Nagi forgets to take her lunch to school and Hayate offers to bring it to her. This simple errand soon turns into a chase when he is mistaken for an intruder. Hayate learns from Maria that Nagi dislikes leaving the house because of all of the kidnapping attempts she’s been subjected to. Isumi makes it to Nagi’s mansion safely but Hayate leaves again on his original errand. During his outing he is ambushed. 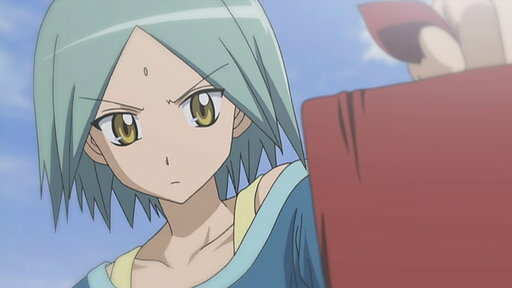 Seeing Hayate as a rival, Wataru challenges him to a duel. Hayate loses on purpose in hopes that Wataru and Isumi will reconcile but his gesture back fires on him. A game a dress up goes awry when Nagi and Maria get their hands on Hayate. Tama and Klaus both end up being very mistaken by Hayate’s new look. E9 | Elohim Essaim, Mr. Cow, Mr. Cow! What is It, Mr. Frog? After returning home from school Nagi realizes she forgot her notebook in class and Hayate agrees to get it. While there he encounters the Hakuou Three Amiga. The demon Abe Maou, who has been living inside an old video game is awakes and pulls the Hakuou Three Amiga into the game. To escape to the real world they must defeat her. Nagi, Hayate, Maria, and Sakuya pay a visit to Mikado Sanzenin, the head of Nagi’s family.Hayate’s misfortune continues when he mistakes Mikado for a gardener. Hayate talks with Maria about the importance of having a dream. He eneds up getting a day off and decides to visit his old school. 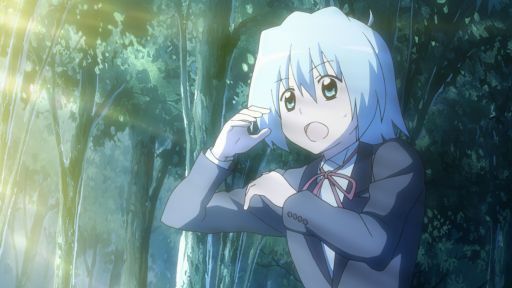 Hayate is overjoyed when documents for his transfer into Hakuou Academy arrive. He attempts to study for the exam the next day and ends up unable to get any sleep. E14 | Hey, Hey! I Hafta Go to a Party! Hurry Up, Seriously! Nagi decides to throw a celebration for Hayate’s acceptance to the Academy, but Yukiji knows something that might just crash the party. As he settles in at his new school, Hayate discovers a few interesting facts about Nagi, before one of those details lead to a confrontation with other students. 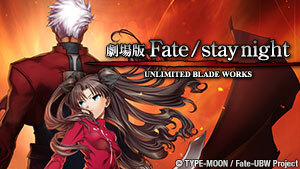 Hayate is prepared to battle, but his challenger calls someone else to fight in his stead! Hayate may be in over his head against this powerful opponent. E17 | For You, I Will Mow Them Down with Every Ounce of My Being! After her manga is rejected by a magazine, Nagi attempts to gain experience by doing things like cleaning and cooking. Class is in session - at the beach! But this seaside lesson could prove to be more sketchy than fun in the sun. 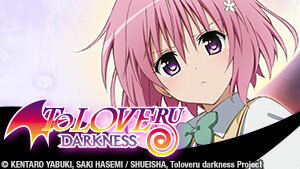 Saki’s coming-of-age ceremony is approaching, but Hayate and Maria are dealing with the effects of a cursed video. Hayate is desperate to find an ultimate attack. At Maria’s suggestion, he looks through the library and finds a promising possibility. Nagi and Hayate venture to an amusement park in a very peculiar place. There are a few setbacks though, the least of which being Nagi’s height. E22 | I Wonder Who Came Up with the Sound Effect “Kapooon”? It’s Awesome! Summer vacation is nearing its end. Naturally, Nagi takes Hayate fishing, and waterside hijinks ensue. Yukiji’s job is in jeopardy. In a fit of desperation, Yukiji asks for Hayate’s help in blackmailing her replacement! Hayate’s day starts out bad due to the influence of a pendant, and it only gets worse as a series of unfortunate misunderstandings get completely out of hand. Hayate is stunned, even as Isumi attempts to cheer him up. Meanwhile, Nagi comes to understand what happened but is powerless to change it. 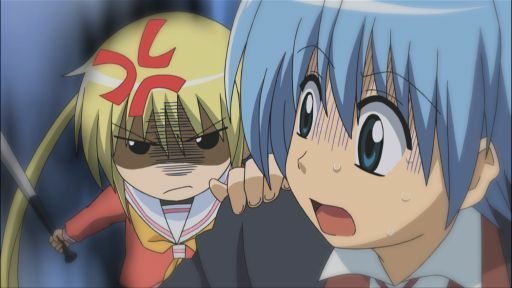 In a sudden bout of embarrassment, Hayate feigns amnesia! Nagi and Ayumu both try to help him regain his “lost” memories. Hakou Academy holds a Butler Battle Tournament to find out who the strongest butler in the academy is. Hayate, reluctantly, joins for Nagi’s sake. The Butler Battle Tournament continues, and Hayate leaves the audience with awkward moments of silent awe. Sakuya, Nagi, Wataru, and Hayate spy on Saki’s proposed marriage meeting, and a misunderstanding ensues. Afterwards, Hayate faces Kirika’s Duel Butler in an epic card battle. Nagi and the girls blissfully enjoy the local hot springs while Hayate is forced to battle another one of Kirika’s butlers, this time, in a B-Daman battle. E31 | Do You Like Pretty, Rich Big Sisters? 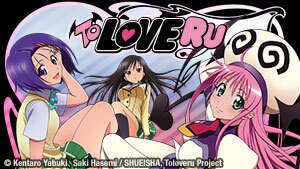 Nagi is determined to prove she can be a better big sister than Sakuya by taking care of two lost children she found. Playtime gets a little malicious. Hayate’s been challenged to a Mini 4WD race by another one of Kirika’s butlers. Meanwhile, a strange man with a carp’s head begs Isumi for her help. 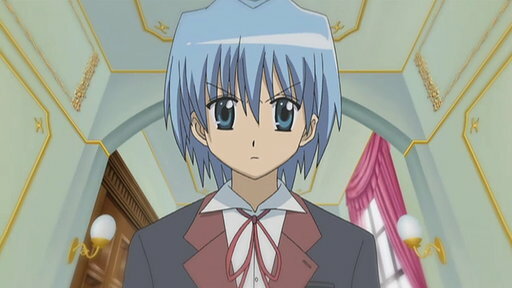 Hayate is forced to work as a butler in the school festival’s cosplay café. Meanwhile, Nagi is hypnotized by the mysterious Puppet Butler. Nagi needs inspiration to write new manga. Hayate and Maria try to help by taking pictures together in the city’s most romantic date locations. Klaus has lost his confidence as a butler, and he can’t seem to reclaim it. Hayate, Maria, and Nagi try to keep him from retiring. E37 | I Want to Go Back to Being an Ordinary Girl, but Buy My Character Songs, Okay? Hayate reveals that he likes “normal” girls. Nagi follows Ayumu around in a desperate attempt to learn how to be like a “normal” person. E38 | Hayate in Peril! All Functions Shut Down!! Kirika and Cyborg Butler attack Hayate and Nagi on the night of the Christmas party, rendering Hayate unconscious. When he wakes up, something is wrong with his butler power. E39 | Hurray for the Butler-in-Debt, Friend to Good Children! Hayate leaves Nagi’s service to keep her safe. 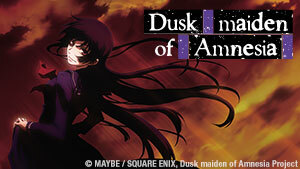 Kirika blackmails him into joining her, and she forces him to wear an ancient, legendary butler uniform. It's the New Year's Eve episode! Nagi’s plans to enjoy a romantic date with Hayate at Kujukuri Beach are threatened. Things are a little strange after New Year’s… or else more than a little strange. Additionally, Yukiji might be retiring?! Everyone must have a weakness, and Nagi plans to discover Hayate’s. Along the way, she discovers everyone else’s weaknesses. Nagi and Hayate get invited on a cruise. As Hayate explores the ship, three terrorists put the ship, and everyone on it, in danger. Nagi shares a new and improved version of her manga. Her friends also learn some even bigger news: her manga is going to be animated! Maria was supposed to enjoy a day of relaxation at a hotel. When she finds the academy students are running the hotel for the day, she feels sorry for them and helps out. E46 | His Name is Magic Ball Pitcher Wataru!!! What is Isumi doing wearing another school’s uniform? More importantly, why does she seem so friendly with the baseball team’s pitcher?! 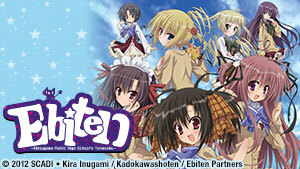 Klaus employs a robotic butler, named Thirteen, to take care of Nagi while Hayate studies to catch up in school. However, Thirteen is an even butler than Hayate! On the eve of her birthday, Hinagiku receives an anonymous love letter, asking her to meet after school. Did it come from Hayate?! Hayate and Nagi are invited to join the Motion Picture Research club. Their current production: a montage of embarrassing moments featuring Hayate. E50 | Quiz! Written as “Foe” and Read as “Friend”!! Nagi and Ayumu are determined to win a quiz competition together. Stakes are high, but the girls have trouble working as a team. Hayate is offered a new job that pays enough money to close his debt. Will he take it? Meanwhile, Nagi excitedly prepares for Hayate’s graduation party. Nagi, Hayate, and the gang take a trip to the island of Mykonos in Greece. What old memories of theirs are hidden in the sand and stars?